Now, more than ever, is the time of the year for reflection. It’s the time we look back on our lives and plan for a better future. At the end of every year, a vast majority of people come up with resolutions that focus on self-improvement. However, much like the human mind and body, a car requires constant attention and upkeep. As you may or may not already know, taking care of your car is just as rewarding as taking care of yourself—and these simple car care resolutions will help you keep your car in its best condition. Funny enough, even though people make resolutions, 92% of people give up before the year is over. But don’t worry! The resolutions we propose are easier to achieve than your standard ones. These few steps can help you save on fuel. Accelerate and brake gently—Your driving habits actually have a large impact on your vehicle’s lifespan. 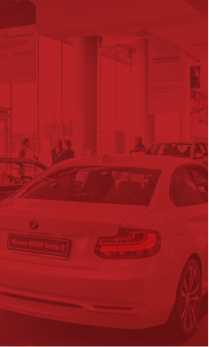 When you brake harshly, you have to accelerate to regain lost momentum and reach your previous speed, and this contributes to fuel consumption. Stick to the speed limit on the highway—When you speed, you increase your fuel consumption. Plus, speed limits are designed to keep everybody safe! Take off your bicycle racks when you’re not using them—Reducing excess weight is sure to provide you with better fuel efficiency. Combine trips—Run your errands all at once, so you don’t guzzle gas with additional trips. Avoid driving in rush hour—Constantly starting and stopping is bad for your vehicle, your fuel consumption, and the environment. It happens to the best of us—sometimes, we get a little upset at the driver in front of us because they cut us off or they’re going too slow. There are all types of people on the road, and regardless of who they are, you’ll need to be patient with them. Keep your cool out there; you shouldn’t let the mistakes of others upset you. So, make a promise to yourself to drive more carefully. Pay attention to your surroundings, and follow the rules of the road at all times. Many drivers only feel the need to check their tires if something is wrong. But when was the last time you checked your tire pressure? It’s a small action, so it’s easy to forget. If you find your tires aren’t where they should be in terms of pressure, go ahead and fill them up. You can find the correct PSI for your particular make and model in the owner’s manual. Cold temperatures affect tire pressure, and low tire pressure puts your safety at risk. So, you’ve been pretending the lights on your dashboard aren’t there. Unfortunately, cars aren’t invincible, and warnings don’t go away just because you ignore them. These alerts exist for a reason, and seemingly small problems can snowball pretty quickly. Regular maintenance keeps your car running for longer. Every make and model is different—so be sure to double check your car’s handbook for the recommended maintenance schedule and other useful information. Once you’re aware of these dates, set reminders on your phone to keep yourself in check. Don’t wait for one of your parts to fail before you visit your local mechanic. If you notice any unusual smells, or if your car feels strange when you drive, go ahead and take it in. Contrary to popular belief, idling is actually unnecessary. Plus, when you idle your car, you waste fuel—and if you waste fuel, you waste money. You also harm the environment with unnecessary CO2 emissions. Furthermore, idling your car on a frosty winter morning to warm it up doesn’t help it drive any better or worse. This is a bad habit a lot of us have to break. Thankfully, a lot of modern cars are ready to drive in mere seconds, no matter how cold it is outside. Assuming your windows aren’t frosted over and you have clear visibility, you can gently drive off without worry. As previously mentioned, the more junk you carry, the more fuel you use—and trash can pile up quickly, especially inside a car. Hold yourself accountable, and take any garbage out of your car once you’re at home. We recommend keeping a trash can or bag inside your car. Of course, we want to look our best in the New Year. Your car isn’t any different—it deserves your love and affection too! Make it a goal to clean your vehicle every single week, inside and out. Don’t forget to clean your car’s headlights and wheels, which are easy to neglect. Your future passengers (and your car) will thank you! To clean the interior, wash your floor mats and vacuum. 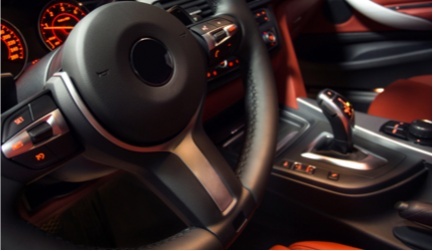 Wipe down the dash, any cup holders, and other surfaces that are prone to dirt and dust. If necessary, remove and replace the seasonal items inside your car. For example, swap out the beach towels for an ice scraper. To perfect the exterior, wash and wax as necessary—and don’t forget to consider car paint maintenance. A little touch-up paint goes a long way; it flawlessly covers dings, scratches, and scuffs, resulting in a like-new finish. If you need to fix any severe dents or body damage, don’t hesitate to visit your local professionals. 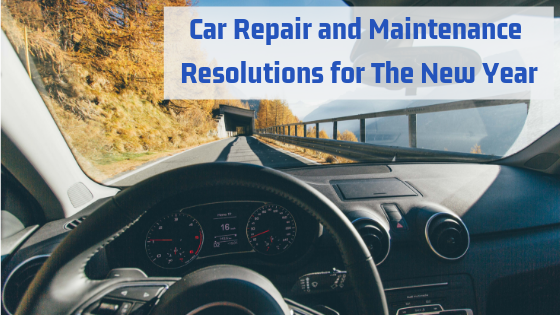 We hope you keep our car repair and maintenance resolutions in mind as you transition out of 2018. What are you waiting for? 2019 is the year to commit to better car care. A car doesn’t just take you from point A to point B—it’s one of your biggest investments, and you should enjoy it. In the end, your hard work will pay off.